Join us as we open The River Project: Categories of Life and Death - an exhibition by students at Sheffield College in collaboration with artist Eelyn Lee. 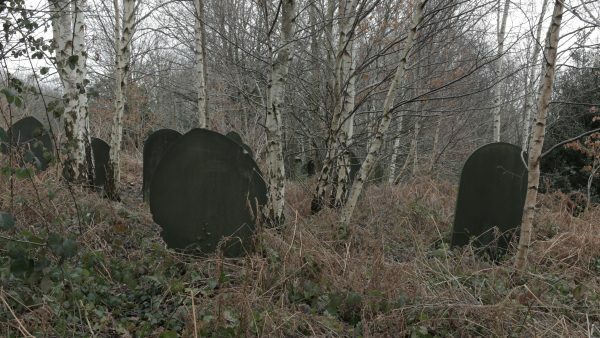 With a focus on the outer edges of Sheffield, where a derelict Victorian Cemetery meets the River Don, The River Project (22 – 29 November, 2018) explores notions of creation, destruction, rebirth and the soul. Students of Sheffield College in collaboration with artist Eelyn Lee re-present their expansive research of the area, conducted over 7-weeks in Autumn 2018. Drawings, prints, photographs, video, sound, text and found objects are assembled together with images of monsters and stories of fear to form an exploded map of the River Don. To mark the Bicententary of the publication of Frankenstein, there will be a special outdoor screening of Categories of Life and Death in Wardsend Cemetery on 26 November.